I recently had a very enjoyable time in the little town of Banner Elk, NC and one of the highlights was definitely the Banner Elk Winery located on 60 Deer Run Road. My friend, and wonderful hostess, Stacy recommended a visit and I was more than happy to tag along. The girls and I enjoying our wine. Boasted as being Carolina High Country’s first commercial winery it was built on a 20 acre blueberry farm and hosts educational tours including instruction in the various steps and processes on how wine is made. 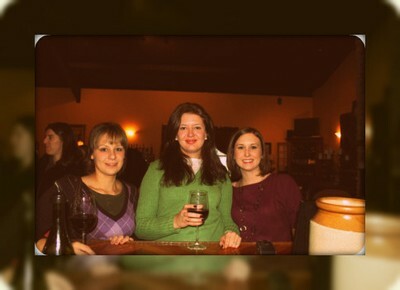 The atmosphere was perfect for a cold, snowy evening and the wine tasting was a delightful experience. For $6 you get a hearty sample of six signature wines along with crackers and chocolate to compliment each glass. If any of them tickle your fancy ( and one is sure to ) than you can buy a glass for $6 to drink as you mingle. My girlfriends and I all settled on the Banner Elk Red and found a seat around the fireplace. We met a great couple, who were also visiting for the first time, and enjoyed a wonderful time learning about each other. One of my favorite things is to meet new people and it was an easy thing to do at the Banner Elk Winery. Also, the staff is so friendly and easy to talk to that no matter where you look you’re met with a smile. Before closing time the owner, Dr. Richard Wolfe, introduced himself and engaged us in an interesting conversation about his passion for both wine and travel. This man in quite an inspiration. In his seventies, he hikes the North Carolina hills daily. This is no problem for a man who celebrated his 70th birthday while climbing Mount Kilimanjaro in Africa. My bottle of Banner Elk Red made it safely back to Atlanta with me. 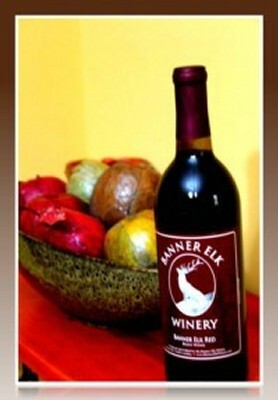 If you ever find yourself winding through North Carolina I would highly recommend a stop at that Banner Elk Winery. You will not regret it as you are sure to leave satisfied and with a little more appreciation for the art of wine. If I’ve piqued your interest visit bannerelkwinery.com for more information.